BACK on the marker and price REDUCED! Sharpe townhouse style condo in a gated complex. Smaller complex consisting of 2 buildings each with 5 units. Freshly painted throughout and lots of upgrades. Downstairs: Totally remodeled kitchen w/ built-in stainless steel GE "Cafe" range/oven, dishwasher, microwave. Granite counter tops, cherry wood cabinets and recessed lighting. Crown molding and custom porcelain tile floors in kitchen and dining area. Living room w/ vaulted ceiling, new carpet , sky light and custom vertical blinds. Dual pane windows throughout. Remodeled 1/2 bath w/ new vanity and porcelain tile floors. Upstairs: Spacious master bedroom w/ vaulted ceilings, walk-in closet, recess lighting, custom vertical blinds . Direct entry to an updated full bathroom. 2nd bedroom has custom blinds and vaulted ceilings as well. A-2 car garage with new garage door and door opener. 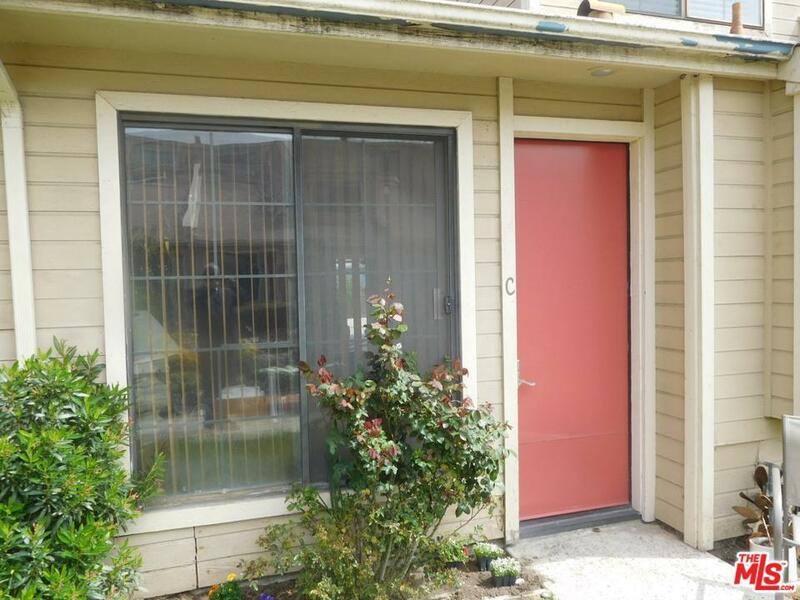 Unit has green belt a front and rear entry and its own front yard space. Truly a jewel!!!!. Sold by Evelyn Figueroa BRE#00615106 of Equity Real Estate-Los Angeles.